Years & Years are bringing their Palo Santo tour to Glasgow in November. The London based synthpop act rise to fame with their debut album “Communion‘ in 2015 and the tracks ‘Shine‘ and ‘King‘. First tracks from the new album ‘Sanctify’ has already got fans in a clamour for the new album due in July 2018. Fronted by Olly Alexander, their songs feature very personal, heartfelt lyrics which have helped them connect with a loyal fanbase. 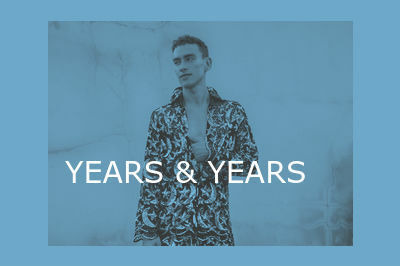 Years & Years play Glasgow SSE Hydro on Wednesday 28 November 2018.